Exciting, amazing, brilliant, feel clear and connected, fun, adventure and freedom. 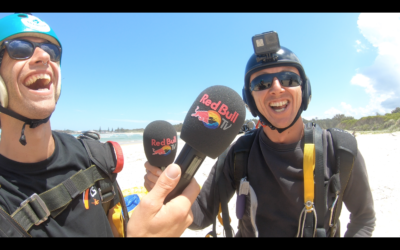 These are just some of the words people are using when they talk about Coffs Skydivers. Add this to our very own coined phrase “on the other side of fear is freedom! 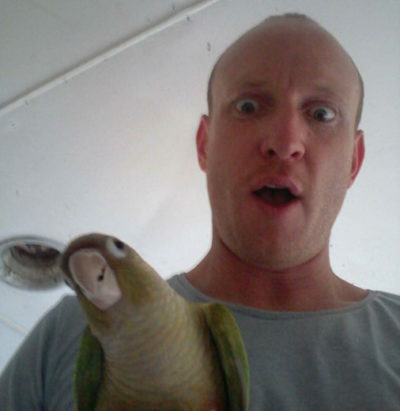 !” This starts to give you an idea of who we are and what makes us tick. 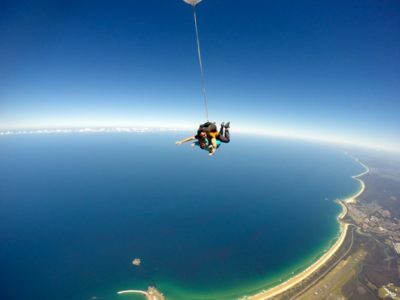 This amazing little boutique skydive centre was created over 20 years ago in 1995. Since then we have learned plenty, grown deeply into who we are and have touched the souls of many thousands of beautiful adventurous humans and their supporters, not to mention doing hundred’s of thousands of jumps. 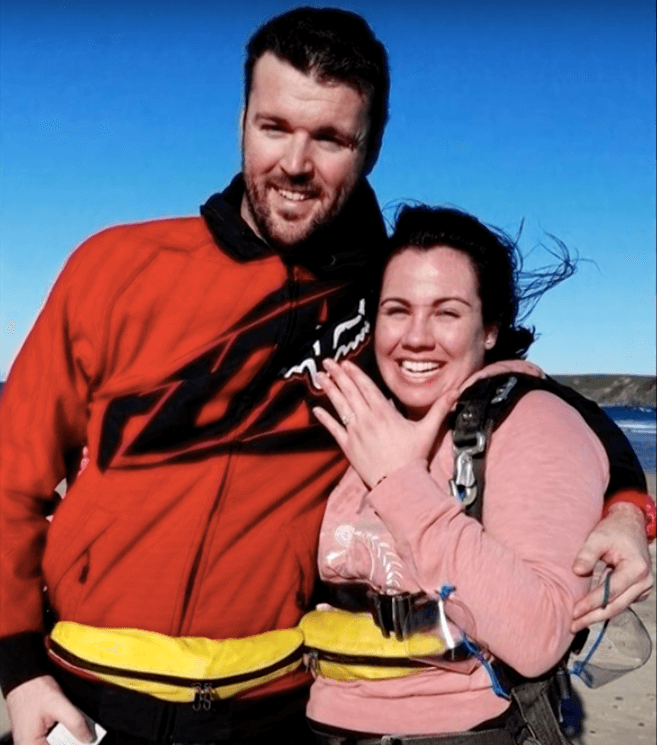 We are the ones who care about who you are, are interested in your story and invite you into our precious skydive family, for a moment, a day or a lifetime. We support our local community and communities afar throughout each year, giving back much of what we get, financially, personally and energetically. We believe vulnerability, love and sharing is the way of the future and hold ourselves accountable to this belief. 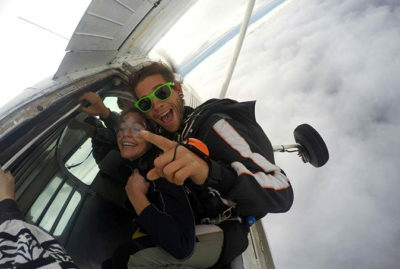 We are also the only skydive centre in the world we know of, that consciously mixes skydiving and adrenalin with personal and team development, offering individual, group, corporate and spiritual workshops along with the utter life changing moment of FREEFALL. 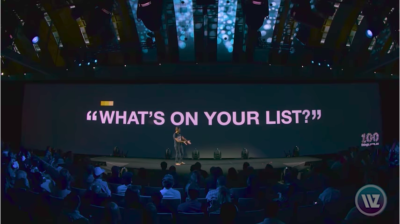 Being present to what is! 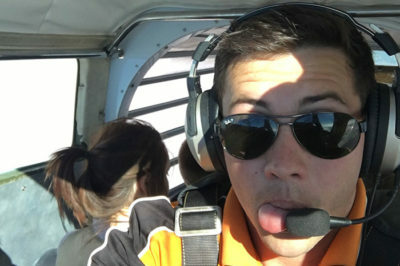 Our skill development largely depends on living in the moment and here at Coffs Skydivers, every time we exit the plane we experience being in the moment. So we are well trained to guide you, your family, friends, employees or colleagues into places within you all, that you may only ever have dreamed of. Be here Now! Possibility is our mantra, join us on this incredible journey of life!!! 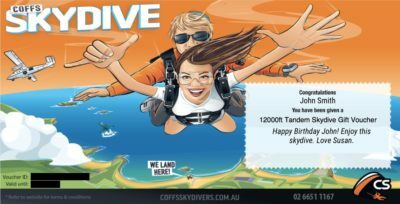 Love the Coffs Skydivers Family. 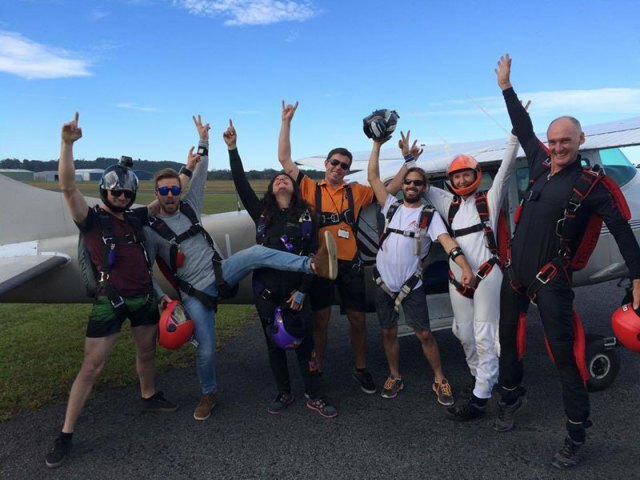 Walk into Coffs Skydivers and you’ll feel it instantly, whether you a regular jumper, just dropping in on your way through or maybe showing up for the very first time for your tandem skydive, you’ll be met with love and connection immediately – that’s just how the skydive community works. 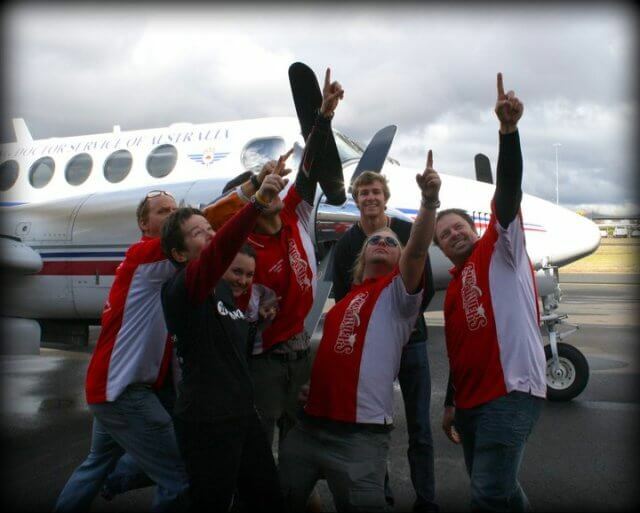 WHY IS IT, THE SKYDIVE COMMUNITY, SOOOOO SPECIAL? Trust, love, acceptance, freedom, connected pleasure, adventure, friends for life and at time just plain wild!! 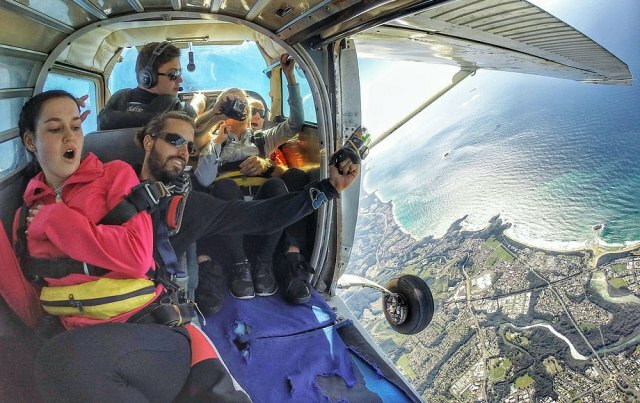 When you join the skydive community it’s like opening the door to another world. From the minute you become “one of us” you are a family member. 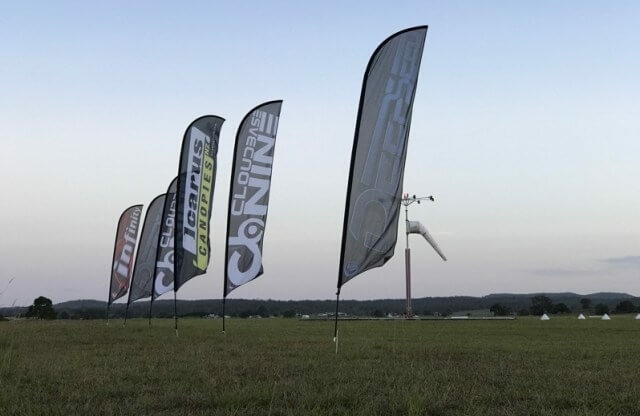 The skydive community is a huge family that’s spread throughout the world. Walk into a dropzone with a rig over your shoulder anywhere on the planet and you will be recognised as one of the family. Instant friendship happens as if it were magic. I guess it’s a respect thing, we face the elements and the edge every day, we challenge each other and live in a place most only dream of, leaving the door of that plane it’s a place of pure freedom, where I’m totally present to the second I’m in, the edge is always near and death is lurking, extremely rare but ever so real I’m my mind, after all it’s me, my parachutes and 220+ kph of pure bliss, oh yeah a the Mother Earth just below me awaiting my return. So this kinda gives me an edge, a uniqueness that is known and respected by my skydive family. There is no time for judging each other, disconnection or unfounded fear, it’s time to get connected, watch each others backs and love like besties. The freedom to me authentically me and be accepted no matter what I look like, where I come from, rich or poor, colour or creed, conservative or absolutely wild, male of female, in the skydive family I have a place and that’s what love is about. 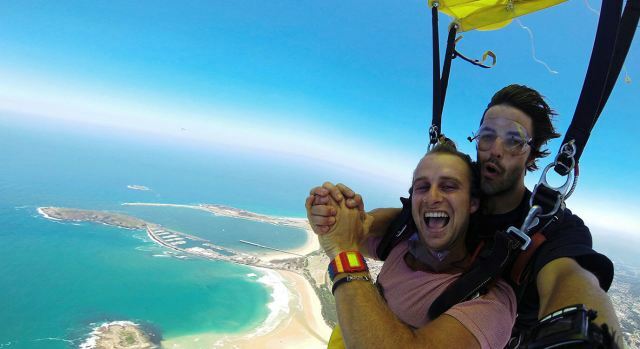 So to sum it up, the skydive family and culture is really all about love and freedom. 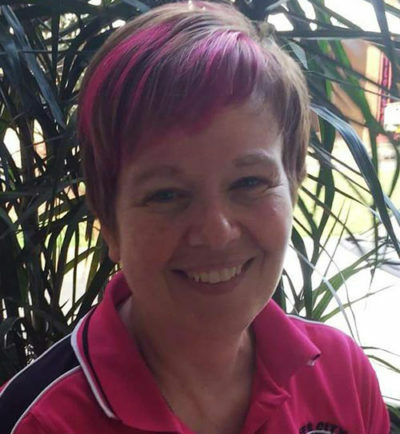 The importance of healthy relationships within the Coffs community starts with us acknowledging our wonderful community who support us year in and year out and having gratitude for all those who work hard to provide us with a healthy community. 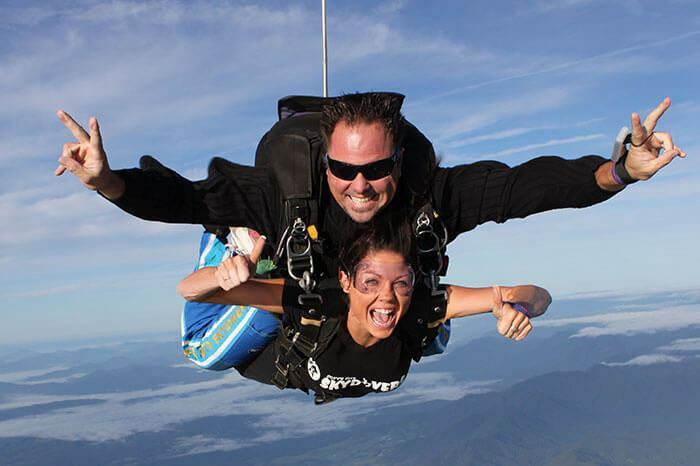 For us to be a part of this is a key part of our culture at Coffs Skydivers. 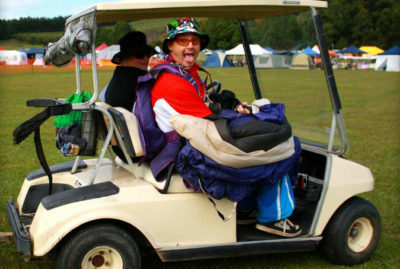 SO WHAT DOES OUR PART IN SUPPORTING THE COFFS COMMUNITY LOOK LIKE? It’s sharing, love, service, understanding, support, listening, working with and building healthy relationships so we can not only co-exist, but help each other to achieve excellence in our chosen fields. We aim to provide amazing experience for individuals and families both local and tourists/visitors to our region and to be there to help pick up the pieces (ha ha pardon the pun), when the chips are down. 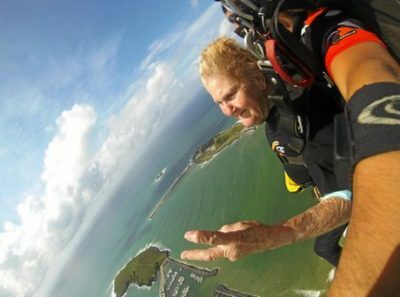 Coffs Skydivers supports the Coffs community in many ways. 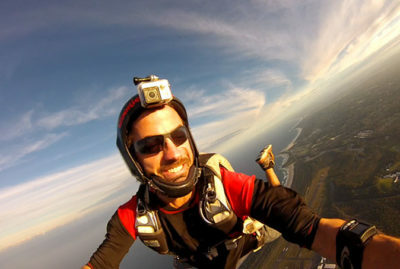 We listen to the call for support from individuals raising funds for those of us who have encountered unfortunate situations and by providing our products and services, tandem skydiving with beach landings, media packs and the like to raffle as prizes. Currently we sponsor the Sawtell board riders and the Coffs Harbour Surf Life Saving Clubs surf boat rowers. We support the Sawtell Panthers and the Coffs Comet’s rugby league clubs. Local schools with fund raisers, we have donated to nearly every school in our area as as far as Grafton, Woolgoolga, Bellingen, Nambucca etc. 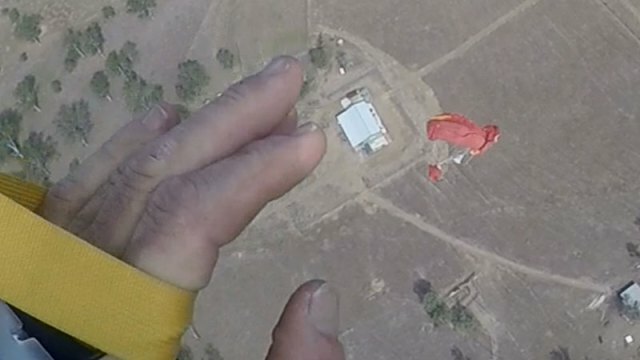 We support people with disability though fund raising and by doing everything we possibly can to take people with disability skydiving, no matter how severe their disability. We skydive with para and quadriplegics where most other company’s say no, too difficult, too time consuming and time is money. 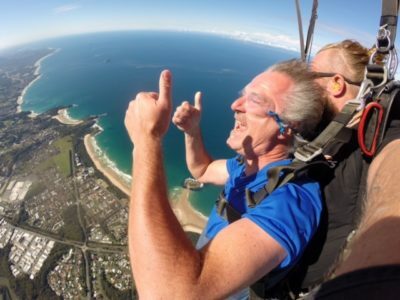 Well not here at Coffs Skydivers, you, our community and visitors are the most important asset we have, as if it weren’t for you we would not exist!! 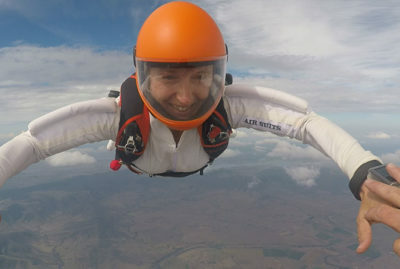 We do many free skydiving demonstrations throughout the year to support community based events such as the Curryfest, Emerald Beach Fair and Bellingen Markets to name a few. 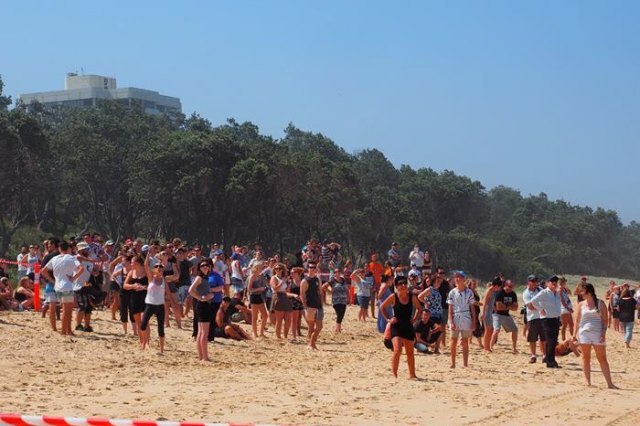 We also strive to create fun interactive events to bring people together help move the Coffs community forward – the overly successful Point Break Cash drop is a great example of how he try to achieve this. However most of all we support you, by opening our doors 7 days a week and welcoming you into our family, our skydiving family, our business and our sporting club so that you too can share in the incredible culture of love, fun, freedom, adventure and impeccability through personal growth, we all aspire too.